Calibration is done not just to check whether the values displayed by the instrument are within the specifications, but also to understand the inaccuracy in values that are displayed at specific points of measurement. So, whenever an equipment calibration is done, it is imperative that all the points of measurement that are crucial to the instrument’s application are calibrated. For example, if the legal requirement for a food retailer or caterer is to keep the food hot at 63°C or above to prevent bacteria from cultivating, the thermometer that is being used to measure food temperature has to be calibrated at 63°C or close. If you’re using equipment that isn’t calibrated, your measurement may be unreliable. It also may mean that your instrument is non-compliant to national or international standards. Therefore, in a professional environment, it is crucial that equipment calibration is done, and a calibration certificate is acquired. A calibration certificate is equipment validation ensuring that the instrument has been checked and verified against the critical points of measurement. The certificate also enlists the errors of the instrument, if any. A calibration certificate demonstrates to the auditor or your customer that your equipment is reading accurately, and the reading is within the specified standards. In a professional environment, it is a standard practice to calibrate the instrument immediately after it is purchased. Then re-calibration is done on a yearly basis. However, depending on your instrument’s application needs, there could be shorter intervals between calibrations. What does a calibration certificate include? Each calibration certificate includes a unique serial number. The format of a calibration certificate may differ according to the geographical location and government regulations. A title (for example, Certificate of Calibration and Traceability). Name and address of the laboratory carrying out the calibration. Unique serial number or identification number of the calibration certificate. Identification of the calibration procedure used. Standards used to perform the calibration. Identification of the item calibrated. The environmental conditions under which the calibrations were carried out, which may influence the results of the measurement. 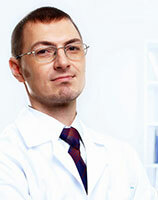 Name, function, and identification of the technician authorizing the calibration certificate. Before you get your equipment calibration certification done, make sure that your lab calibration services provider includes all the critical components of the calibration certificate.